It is beyond the remit of any writer, no matter how well intentioned to implore a man to retire. A fighter, regardless of the date on his birth certificate, should not be prevented from earning a living if they are physically able to do so. Wayne McCullough, that most dedicated of professionals is one such example. Despite the evidence of a waning ability the Pocket Rocket refuses to relinquish his dream of once again being crowned World Champion. 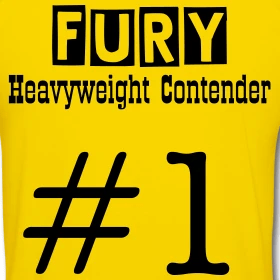 As a heavyweight, his 38 years wouldn’t be the millstone they are at Super-Bantamweight where speed, stamina and volume punching are more prevalent than amongst the heavyweight molasses. Wayne would argue the age is irrelevant and his monastic dedication to training does encourage bystanders to believe he can once again climb the mountain. Similarly, his heroics in the ring both in victory and defeat – stubborn resilience to Morales, Hamed and Harrison spring to mind – also evoke genuine affection among those who’ve enjoyed his long career. Last weekend’s breakthrough win for fellow Irishman Bernard Dunne, securing the WBA Super-Bantamweight title by 11th round knockout (despite the simultaneous reign of real champion Celestino Caballero this is still a notable achievement), offers a glimmer of hope and opportunity for the veteran to steal in to a world-title shot via the back door. In an open letter published on his Myspace page, McCullough urges Dunne to come to the negotiating table and set-up an all Irish clash for his newly acquired belt. There are financial benefits for Dunne because of their shared geography but it would make a mockery of even the WBA’s convoluted and confusing ranking and championship system if he accommodated the former titlist. Congratulations on your great win at the weekend – you deserve it. You’ve worked hard to get where you are today. Being able to come back from the 5th round to pull out the win, while being so far behind on the cards, is an accomplishment in itself. Doesn’t it feel good to be a World Champion?!? I’m really delighted for you. And being able to fight for the belt in front of your hometown fans is fantastic too. But let’s get down to business! When I sat down with you in Dublin in January – while I was there for the UFC fights – I mentioned that we should fight whether you won or lost because this is a match up the fans want to see. Since the weekend I’ve had dozens of emails from our fans saying we need to fight as it would be the biggest event in Irish history. So Bernard what do you say? Let’s get this done. I don’t have a promoter so the fight can be made easily – if you and your team want it! I’m an over the hill old man so I’m not going to be much of a threat to you!!! I know you’ve said in the past that you won’t fight me because I’m your “hero” but Oscar de la Hoya fought Julio Cesar Chavez who was his hero. So that shouldn’t be an excuse. Not since 1962 when Johnny Caldwell and Freddie Gilroy fought, have 2 guys from the same country fighting in the same weight class at the same time been able to meet at this level. We don’t have to fight for your belt but that would be a bonus. You’re a world champion and no-one can ever take that away from you, so what do you have to lose? Anyway when I beat you, the belt is going to stay with an Irishman!!! I have cemented my legacy in boxing and fought the best along the way. Right now, you are the champion and I’m sure you too will want to prove that you are the best. To be the best, you have to beat the best. So fight me! I believe in my confidence, chin, talent and heart that I have what it takes to defeat you. Can you say the same thing? Enjoy your success, Bernard. I’m proud of you! !